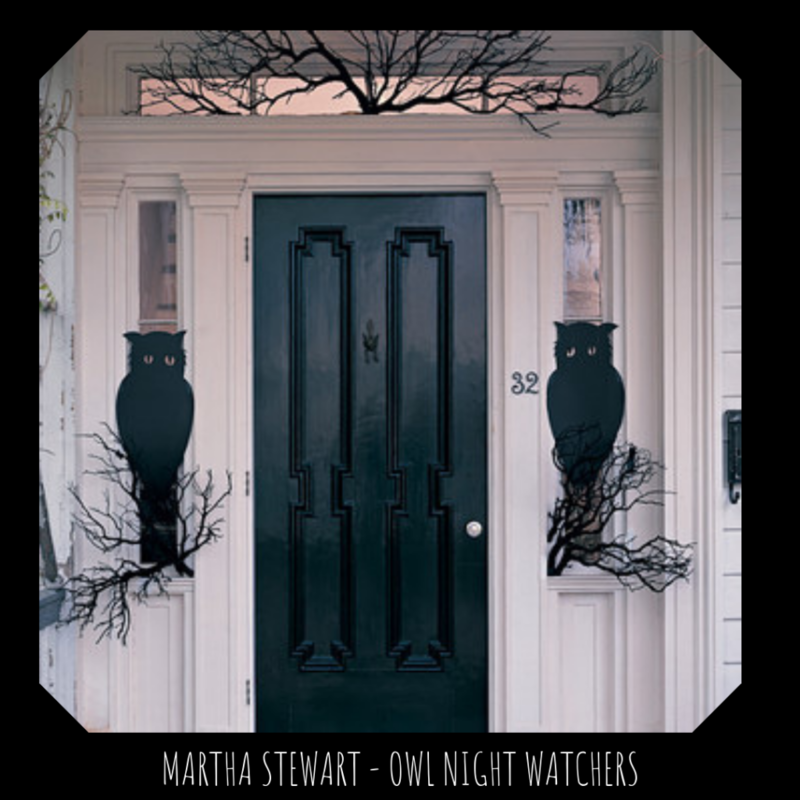 Halloween in Australia is gaining more popularity each year. We have embraced the tradition in our home, my daughters birthday falls on Halloween and she absolutely adores everything that goes with celebrating Halloween. However, I found shopping for Halloween decorations in stores and online disappointing. Often the quality of the decorations available is not good enough to withstand the Australian elements for the necessary weeks of October. If I did manage to find quality decorations they were crazy expensive. So over the years, I have slowly collected decorations that are good quality at the right price and supplemented the rest with our own DIY decorations. 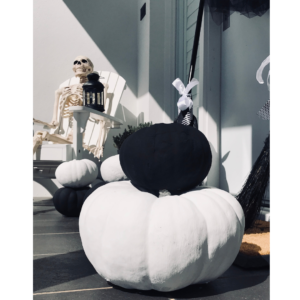 This year we are rocking a black and white themed Halloween. 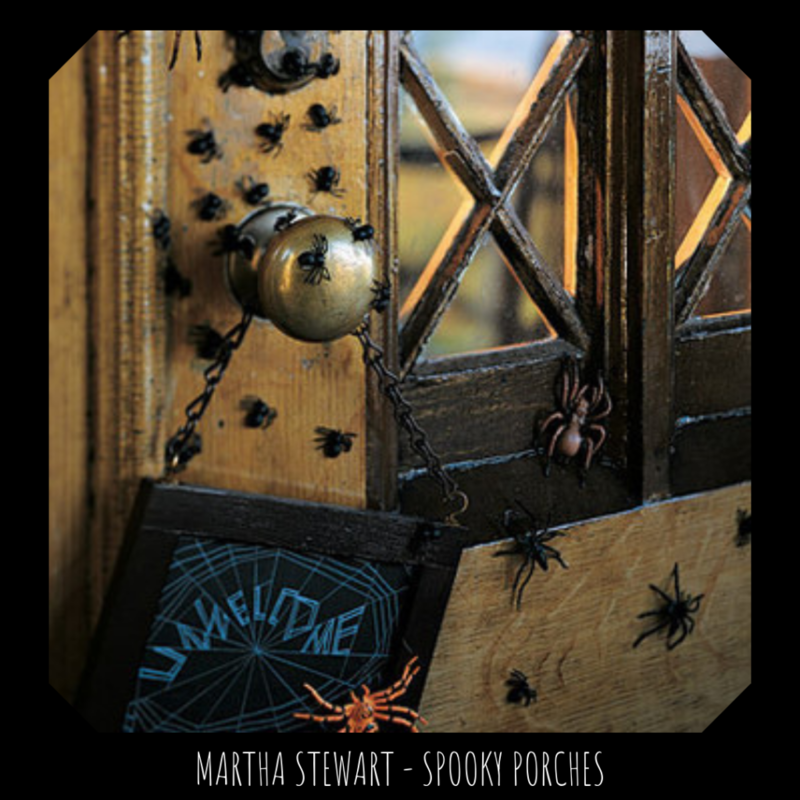 We had a blast decorating our front entrance with handmade goodies and other scary items. 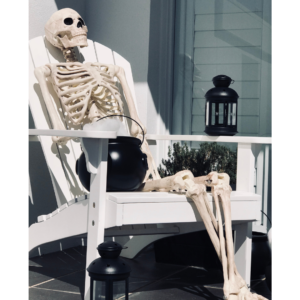 I thought this full-sized skeleton I found at Costco would make a nice addition to the collection this year, he has been lovingly named Skully by my daughter. Keeping with the style of our house I popped him on a Hamptons style chair, I couldn’t help myself! 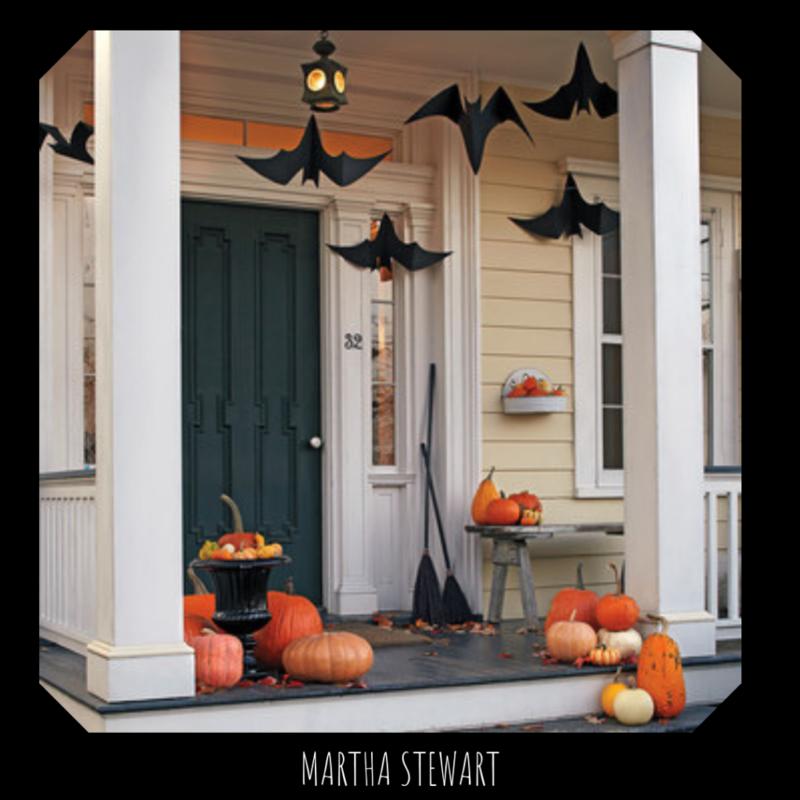 You can find my post on how to make your own painted pumpkins HERE and how to make your own front door wreath HERE. 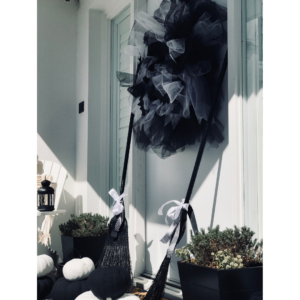 The simplest and most effective DIY we completed this year was our Halloween brooms. 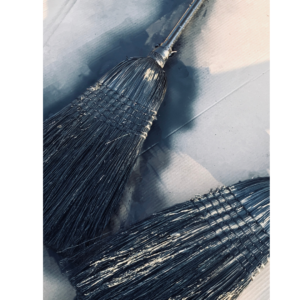 We simply spray painted two brooms we purchased from the hardware store and tied a black and white ribbon around them. They look brilliant! 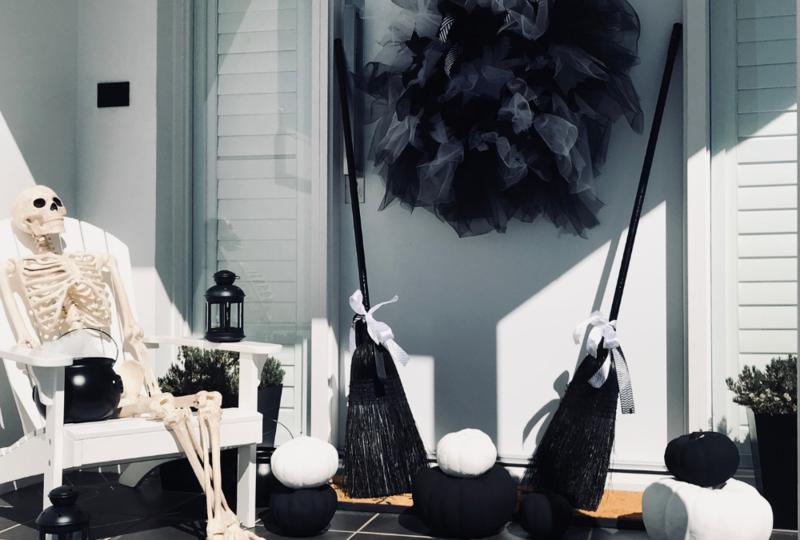 Halloween can be tricky in Australia, do we do it or do we leave it? I think you can find your own style and enjoy it your way if you want to join in. 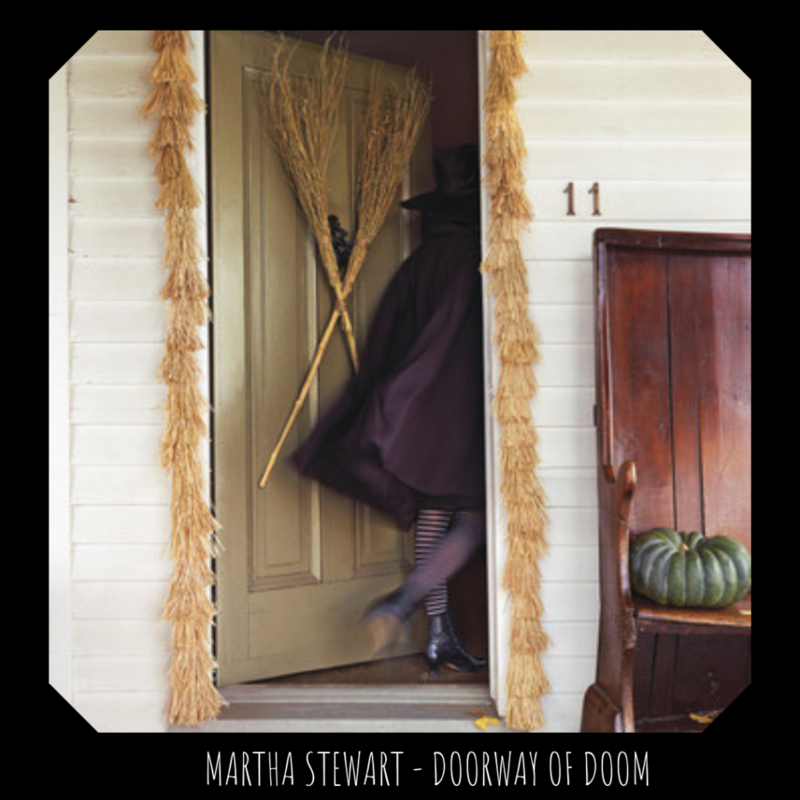 I wanted to share with you some front door inspiration from the DIY Queen Martha Stewart below. I have also popped several links on my other posts as well. You can simply click the image and it will take you straight to her tutorial. 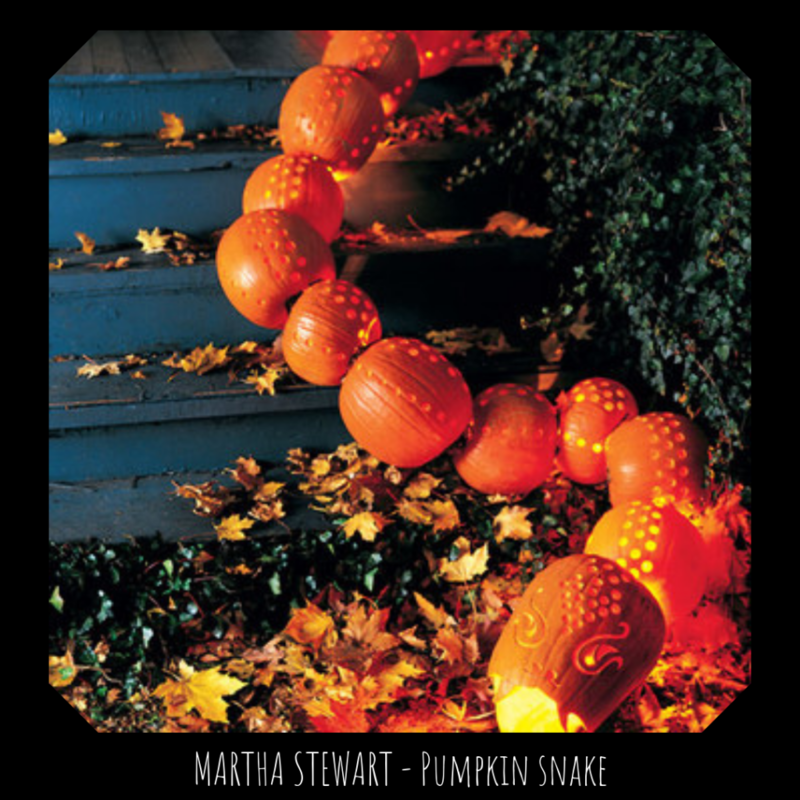 Martha Stewart is incredible when it comes to DIY Halloween I know I get inspired when I scroll through her posts. Enjoy!